Bubble glass balls of various sizes are supported by adjustable cables for a wide variety of designs. The glass balls are illuminated by replaceable LED bulbs and are fully dimmable. 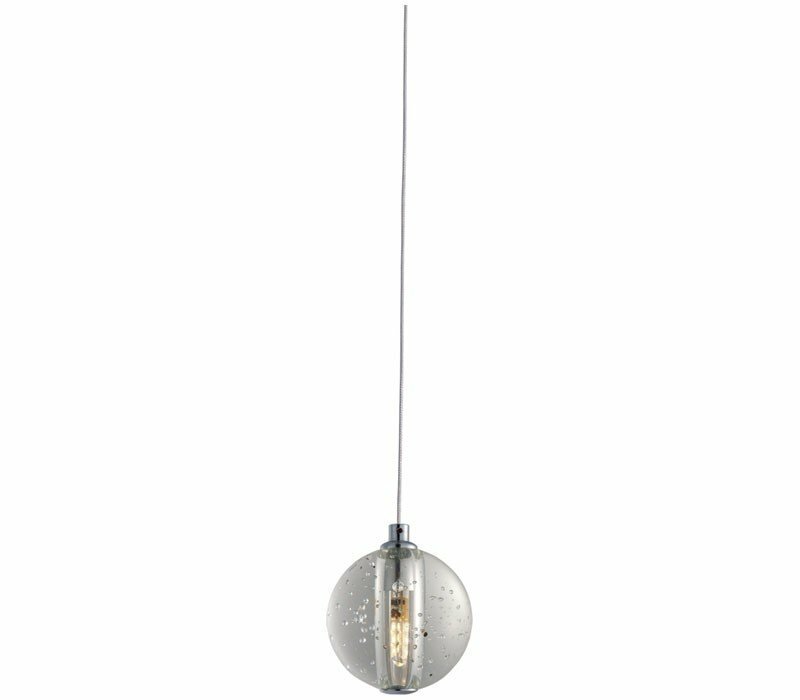 The ET2 EP96317-91PC Harmony collection Pendant Lighting in Polished Chrome uses LED light output and brings Modern style. This item is 3.15"H x 3.15"W x 3.15"L. The wattage is 1.5. Additional Information: Shade-Bubble.